Peter Christensen is Assistant Professor of Art History at the University of Rochester. His specialization is modern architectural and environmental history, particularly of Germany, Central Europe and the Middle East. His theoretical interests center on issues of geopolitics and multiculturalism. He also maintains a strong interest in infrastructure and its history. He explores critical applications of the digital humanities in his research and teaching which includes a major research project entitled Architectural Biometrics. He is the author of the book, Germany and the Ottoman Railway Network: Art, Empire, and Infrastructure (New Haven: Yale University Press, 2017). Peter received his PhD from Harvard University. 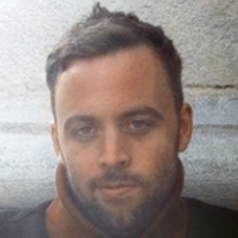 Peter has served as Wissenschaftlicher Mitarbeiter at the Technische Universität München (2012-2014) and Curatorial Assistant in the Department of Architecture and Design at the Museum of Modern Art (2005-2008). Peter holds a professional Bachelor of Architecture from Cornell University, a Master of Design Studies in the History and Theory of Architecture, with distinction, and a Master of Arts, both from Harvard. Peter is the recipient of the Philip Johnson Book Award (2010) from the Society of Architectural Historians and grants from the National Endowment for the Humanities, Fulbright Foundation, the Forum Transregionale Studien in Berlin, the Deutscher Akademischer Austauschdienst (DAAD), the Society of Architectural Historians, and the Historians of Islamic Art Association, among others. Peter's writing has appeared in leading scholarly journals including MUQARNAS: An Annual on the Visual Culture of the Islamic World, The Journal of the Society of Architectural Historians, The International Journal of Islamic Architecture, Nineteenth-Century Art Worldwide, Harvard Design Magazine and New Geographies, among others. He is the co-editor of three volumes: (with Vimalin Rujivacharkul, Hazel Hahn and Ken Oshima) Architecturalized Asia: Mapping a Continent Through History (Hong Kong University Press & University of Hawai'i Press, 2013), (with Mohsen Mostafavi) Instigations: Engaging Landscape, Architecture and the City (Lars Müller, 2012) and (with Barry Bergdoll) Home Delivery: Fabricating the Modern Dwelling (The Museum of Modern Art, 2008). Peter has also curated and assisted in the organization of a number of exhibitions, including at the Museum of Modern Art, the Harvard Graduate School of Design and the Denver Art Museum.